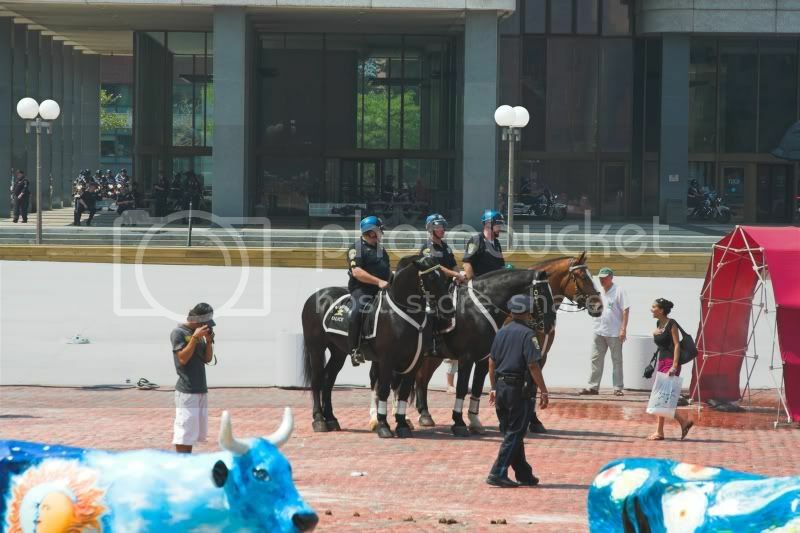 Boston: 21st Century Cow Town? 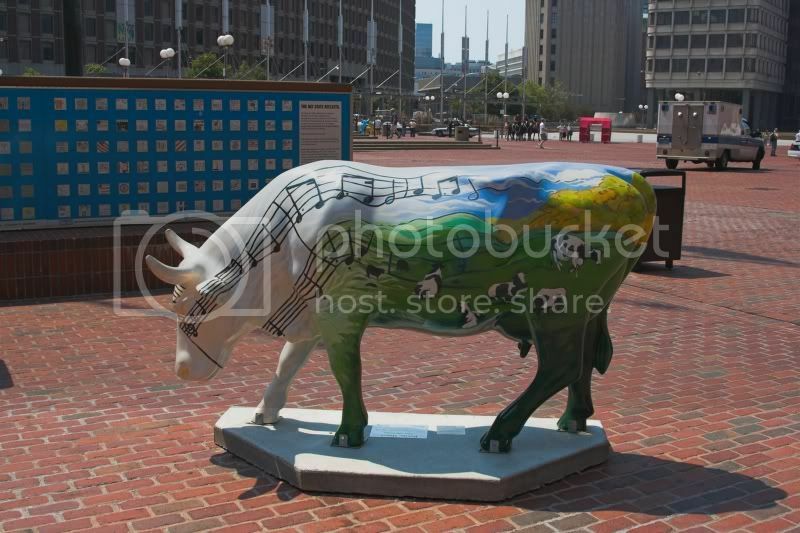 Alright, why is the city suddenly full of cow statues? 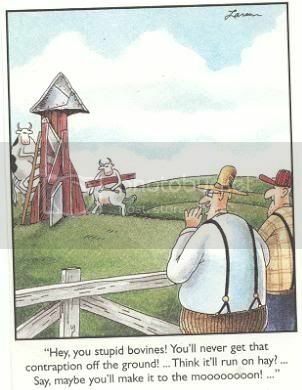 Neigh, no more cows I say! Alto of other major cities have done this too. Seattle, New York and Los Angeles are the ones I know of. The cow molds are given to artists who have complete freedom to do whatever they want with them. They will be auctioned off later for a benefit. 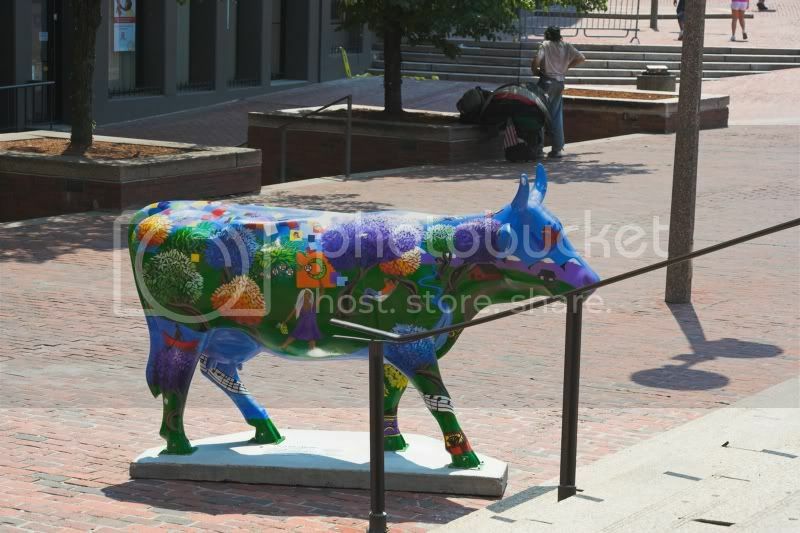 More specifically, http://boston.cowparade.com and http://theedge.bostonherald.com/cows/ . The latter page says that today's Boston Sunday Herald has a supplement about the Cow Parade. Vero Beach, Florida did something like this with turtles.